The offender was charged with two felony offenses in connection to an incident which occurred on January 11, 2017 at approximately 9:20 p.m. on the 0-100 block of E. Erie. On Monday, December 12, 2016, at approximately 4:00 p.m. on the 800 Block of E. 63rd Street, an unknown male attempted to abduct a 13-year-old female. 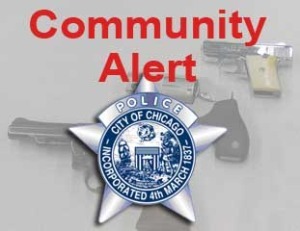 This alert gives notice to citizens residing in the 003rd District (Grand Crossing) that there was an increase in robbery related incidents during the month of November in the vicinity of: Clyde Ave-Crandon Ave,7100 South. CHICAGO – Chicago Police Superintendent Eddie Johnson announced today the expansion of officer-worn body cameras throughout the entire Department over the next two years. The announcement came at the same time as the completion of the initial body camera pilot across seven police districts. On September 14, 2016, at approximately 5:40 p.m., the 13-year-old female juvenile victim was riding her bike on the 5200 block of North Northwest Highway when she noticed a parked white wan and the unknown male driver standing outside his vehicle door. On August 28, 2016 between 6:30 p.m. and 7:30 p.m., an unknown male approached the 5-year-old female juvenile victim and made inappropriate sexual contact with her. 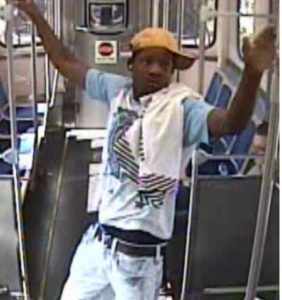 On August 1st, 2016, at approximately 4:11 pm, the pictured offender sat next to a male victim on board a CTA Green Line train, pointed a handgun at him and demanded his phone. The victim complied and the offender fled off the train at the 63rd )Street platform. On July 05, 2016 on the 5300 block of N. Elston at approximately 10:00 p.m, a 43 year old woman was walking to her vehicle when the offender and attempted to engage her in conversation. As the victim got into her vehicle the offender reached in and touched the victim’s chest and genital area over her clothing. The victim managed to push the offender away at which time he fled. On July 12, 2016 on the 5200 block of N. Laramie at approximately 3:20 PM, a 35 year old woman was walking when the offender approached and engaged her in conversation. The offender then struck the victim’s buttock with his hand and then exposed his genitalia. The offender then fled northbound on Laramie. 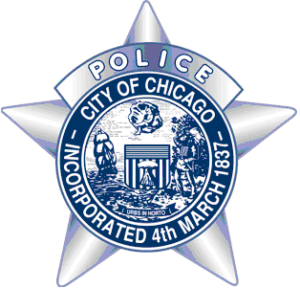 On July 14, 2016 on the 6100 block of W. Waveland at approximately 3:30 PM, a 17 year old woman was walking when the offender ran up from behind and touched her buttocks and chest. 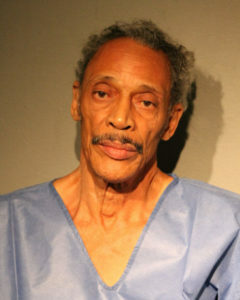 The offender then fled eastbound on Waveland.